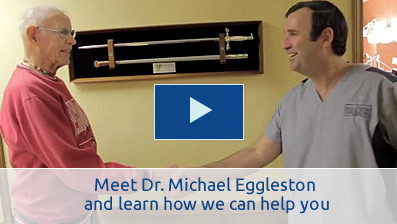 Whether you have an acute injury that requires a series of treatments or you want to come in on your own schedule for maintenance care, we at Eggleston Chiropractic & Rehab will be glad to help. From old and new sports injuries to unexplainable nagging pain, we will provide relief for back pain through proven therapies and rehab. Let us help you get back to playing golf, chasing your grandchildren, working in the garden or whatever else you love to do! Neck pain ranges greatly in severity from an irritating stiff neck to a debilitating whiplash injury. Regardless of the severity of the pain, we can help release you from the pain. Call us at (479) 575-0105 or book an appointment online today! We believe that everyone should be able to benefit from quality chiropractic care. We are a preferred provider with all major insurance companies, accept all auto accident insurance, and all major health insurance and medicare. Our professional staff will be glad to check on your benefits and discuss with you before beginning treatment. Located 300 yards off College Avenue in the Rolling Hills Professional Building.